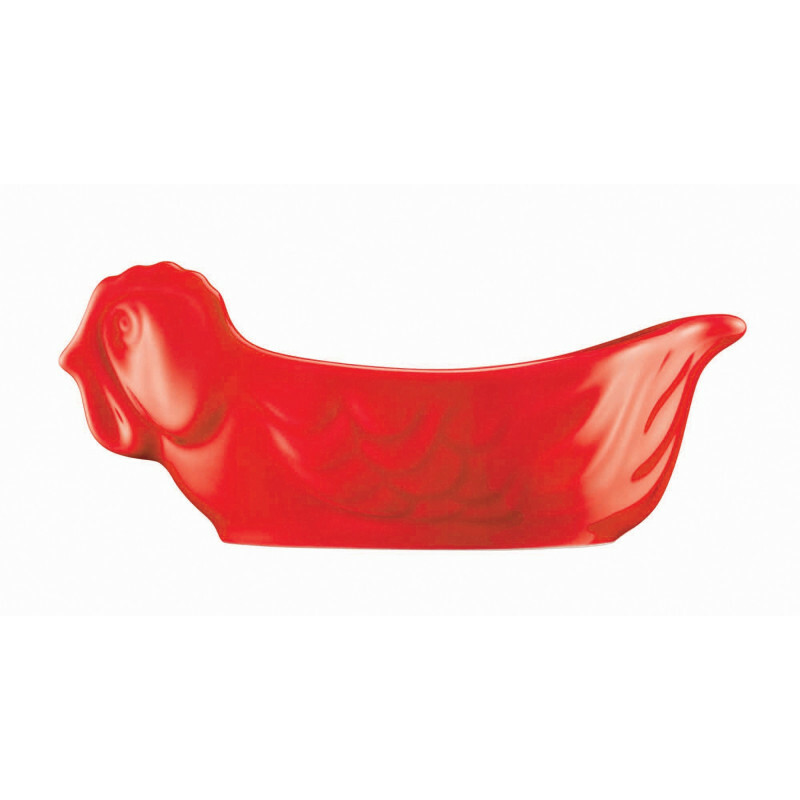 This red chicken roaster, made of high-end porcelain, is the perfect chicken roaster with a complete sense of humor! 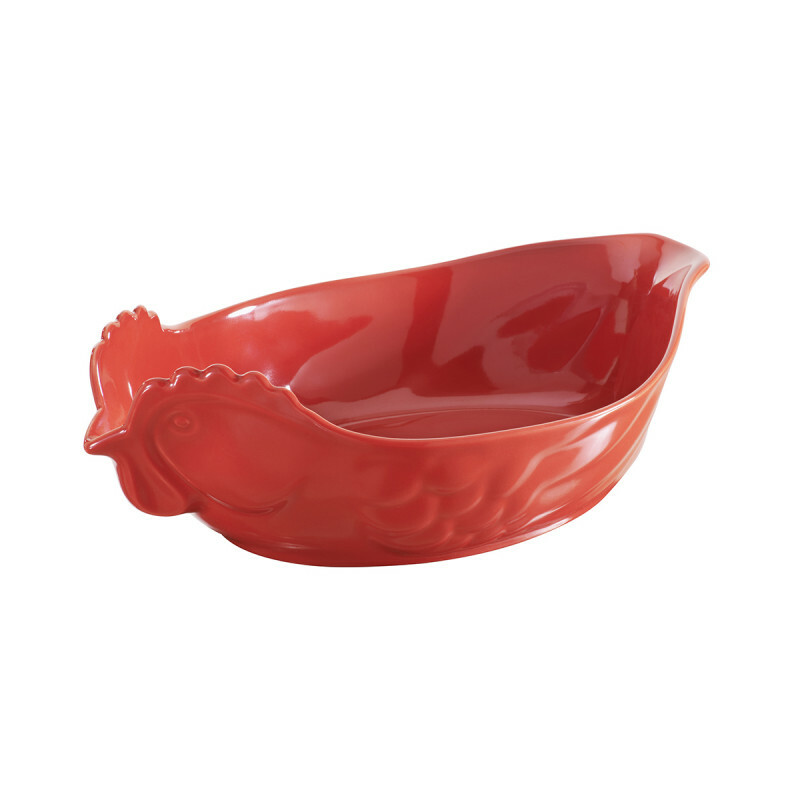 This shiny red porcelain chicken (or rooster) roaster is the secret to a perfect roasted chicken.” The compact “oval” size holds the chicken in place and allows the hot air to rotate around the chicken, creating a golden brown skin. The roaster is big enough to accommodate some vegetables and the chicken but not so big that it takes up the whole oven. 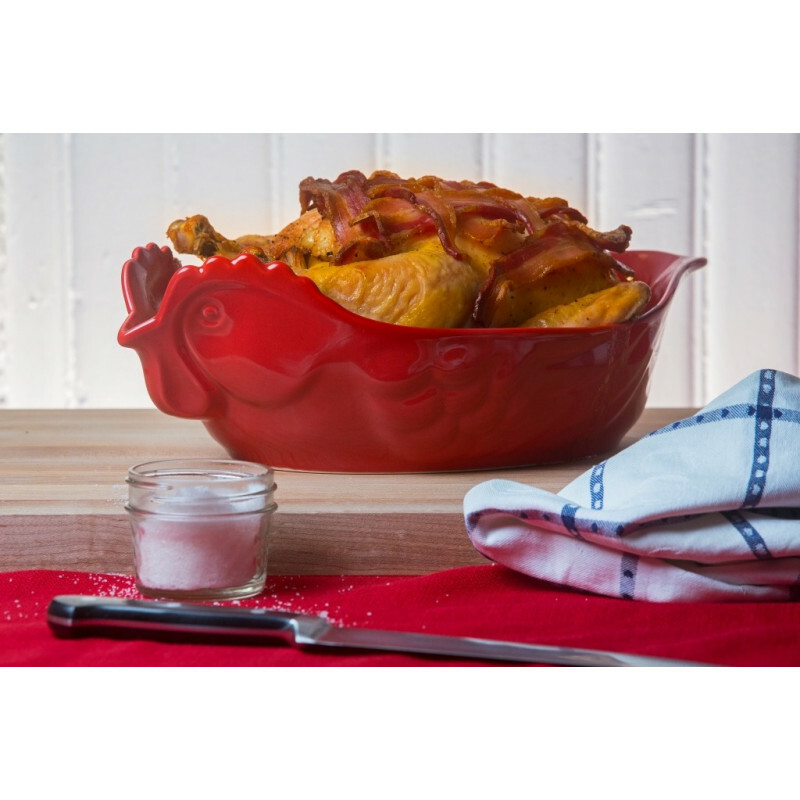 It is easy to store, easy to use, easy to clean up and doubles as a serving piece! Cluck! Cluck! 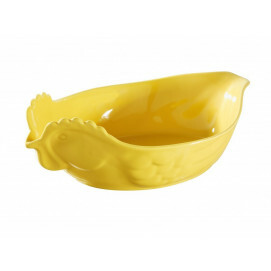 Also available in white, yellow and black (same size).